If your work involves sensing, measuring or using ultraviolet light, the National Institute of Standards and Technology (NIST) has great news for you: Granite is good for more than just kitchen countertops. In this simplified example, SURF III’s new beamline 3 directs UV light (white beam) to a grating (1), which acts a prism. Only the desired UV wavelength strikes the mirror (2), which helps reflect the light toward devices that need calibration. By repositioning the grating and mirror, the beamline can generate UV ranging from long to short wavelengths–represented here by red (top) and violet (bottom), respectively. The famously tough rock is also the sturdy base for a new device at NIST’s Synchrotron Ultraviolet Radiation Facility (SURF III), which has just improved its instrument calibration abilities. The upgrade, made to SURF’s Beamline 3, will allow NIST to calibrate or characterize devices that work in the ultraviolet (UV) region of the spectrum far more accurately and across the complete range of UV wavelengths for the first time. It’s a change that will benefit designers of computer chips and satellite-mounted sensors alike, and it involves modern technology as well as several tons of stone. SURF is a room-sized particle accelerator built in the 1940s that has gained new life as a light source, spanning wavelengths from the extreme UV to the infrared. As charged particles—electrons in SURF’s case—are swiftly accelerated to nearly the speed of light, the process makes them emit a broad range of wavelengths of light called synchrotron radiation. The new device allows precise selection of specific wavelengths of light within the emitted radiation, making it a valuable metrology tool. Varied scientific and technological applications require light of different UV wavelengths, from as short as 3 nanometers (extreme UV, used in observing the sun’s corona) up to 250–400 nm (useful for rapid curing of adhesives and biological studies). Up until now, SURF III has needed to use two separate groups of instruments of limited capability to produce tunable UV across this range. The upgrade means NIST can retire these older instruments, located on beamlines 4 and 9, and do more accurate work. Precisely tuning the UV light to the desired wavelength hinges—literally—on movable optical elements mounted on the 6-ton granite slab used to steady them. 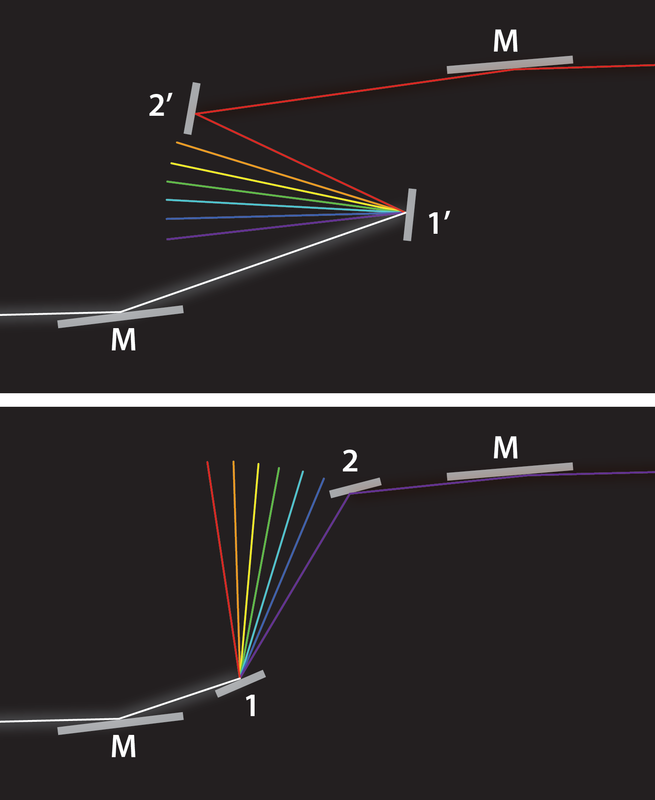 Changing the angle at which the UV light strikes the elements alters the transmitted wavelength, so the elements must be moved into exact locations and remain there, rock-steady, while the beamline is in operation. The SURF III facility performs about 100 extreme UV calibrations and characterizations a year. Up until now, NIST has not had a tunable instrument with sufficient power to make measurements over large regions of the UV that are traceable to the international system (SI) of measurement units. NIST physicist Tom Lucatorto said that Beamline 3’s upgrade will change that.